How it looked before today. To be clear, this isn't going to have any effect on the name shown in your app drawer. Thankfully, that was already simply 'Messages'; 'Android Messages' would have been super long and super redundant. 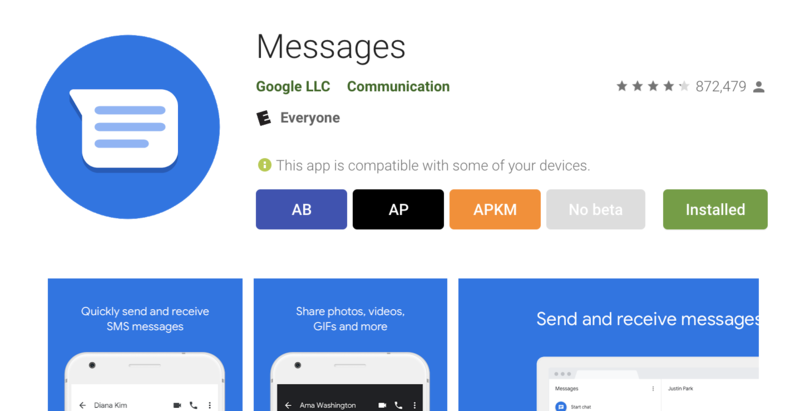 Then again, 'Android Messages' as a Play Store listing title was pretty redundant on its own. After all, you can't post any non-Android apps on the Play Store anyway. In short, this is just Google correcting a mistake it made a long time ago.